Each weekend until November we're hosting an Action weekend focused on each of the different Candidates we are supporting. If you're like many of us and need to plan you actions ahead, this is the best way to do it and there are lots of ways you can help! Read about our Candidates + Campaigns! Sign up to Write Postcards for Melissa Shusterman! This is a new drive for Melissa, so even if you've written for her before, you can write again. All postcards can be mailed by October 19th. You provide the postcards and the stamps, Lean Left will provide the addresses and the messaging. Email leanleftcvt@gmail.com with the subject line MS Postcards for more information. Donate to Melissa Shusterman or Anton Andrew through our Sister Baker Project and get your choice of a pie or cookies! Read up on our new candidate in preparation for canvassing and phonebanking: Info to come - learn about this district & NH here. CANVASS: Talking to voters is one of the most important things we can do to influence elections. Canvassing is THE MOST EFFECTIVE. Knocking on doors can increase turnout by as much as 12%! While we wait to start canvassing in NH-01 for the candidate who wins the Sept. 11 primary, we continue our work with Let America Vote (LAV), knocking doors in New Hampshire's 2nd district. LAV focuses primarily on state house races, supporting progressive Democrats and GOTV door knocking. But any support we motivate for in-state Dems will carry up the ticket to NH's congressional candidates. So let's get knocking! This week, canvassing takes place in Newport, NH. Contact Janet Savage, Lean Left Canvassing Coordinator, if you’re planning to join in the flipping fun! E-mail: Janet@HandTales.com. CANVASS: Right now, Lean Left VT does not have organized canvassing trips scheduled to go to ME02. But if you have a hankering for some lobsta’, that doesn’t mean you can’t go! Jared Golden’s campaign has regular canvassing shifts from its Lewiston and Bangor offices. Learn more about ME-02. If you and a couple friends want to go, sign up here: https://goo.gl/forms/6TkIBgzwBGOZrFZC3. Most of the form won’t apply. In the final field, put the date, location and number of people that are going. If you do get a group together (>5) or are willing to help organize a group (we will help you! ), please email leanleftcvt@gmail.com to let us know. We want to give the campaign an extra heads up that Vermonters will be coming! Learn more about Antonio Delgado. Watch this inspiring video of the NY-19 candidate. CANVASS: Talking to voters is one of the most important things we can do to influence elections. Canvassing is THE MOST EFFECTIVE. Knocking on doors can increase turnout by as much as 12%! Join the Vermont Caravan to NY 19 to canvass for Antonio Delgado running to unseat (R) Congressman Faso. It's a tight race so we need you. Expected start time is 11 a.m. on Saturday and Sunday. Possible locations: Hudson, Hyde Park, Kingston NY. TBD. Go with a group or go on your own. Contact Janet@HandTales.com for more information. 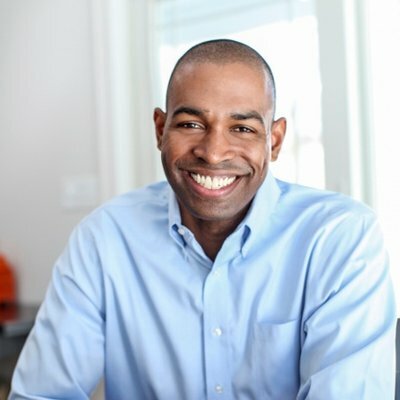 DONATE: Donate to Antonio Delgado.